Sheffield United manager Chris Wilder believes the latest allegations of corruption in football are not a major issue in the lower leagues. Wilder, in charge at League One United, believes the huge amount of money in the Premier League and Championship – with multi-million pound transfers commonplace – is behind the misdemeanours highlighted in this week’s Daily Telegraph probe. England manager Sam Allardyce was the first casualty, while yesterday Championship side Barnsley sacked assistant manager Tommy Wright following the newspaper allegations. Wilder – former Halifax Town and Northampton boss – said he had never been approached by agents offering cash to sign players. 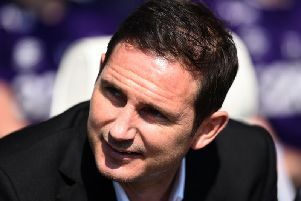 But he believes there will be “a lot of nervous people” in football, with rumours that more high-profile managers’ identities are set to be revealed. “It’s been disappointing, but I imagine like a lot of industries – where there is a lot of money flying about – then there is people out there who can be, and will be affected by it,” said Wilder. “It’s really disappointing, but I am not surprised with the amount of money that is awash at Premier League and Championship levels. “It’s not a good time for football and I imagine there are a lot of nervous people out there at the moment. “Hopefully they can get to the bottom of it and clear it all up.